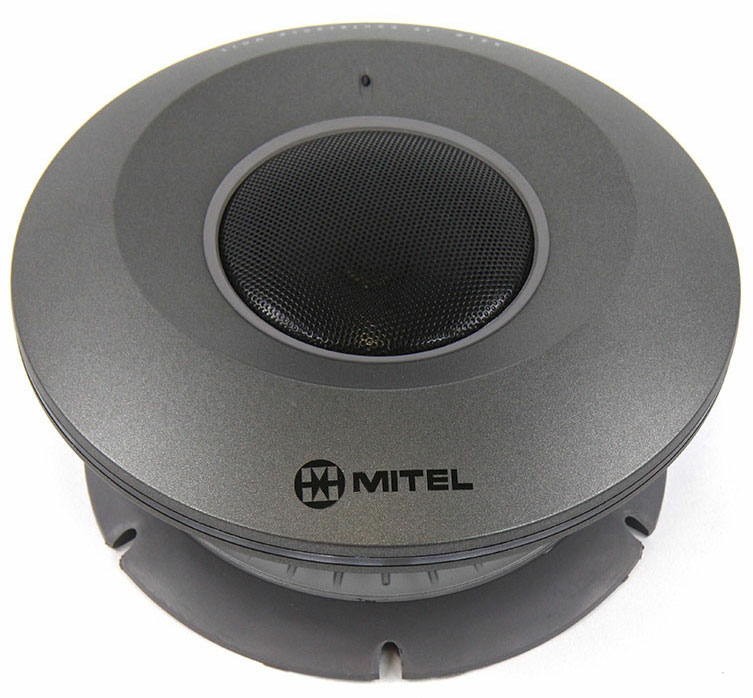 The Mitel 5310 IP Conference Unit is a full-duplex IP conferencing unit that supports natural conversation while eliminating background noise – even in large meeting rooms – for exceptional voice quality and clarity. Acoustic beam-forming technology to focus on lead speaker and eliminate background noise, side conversations etc. 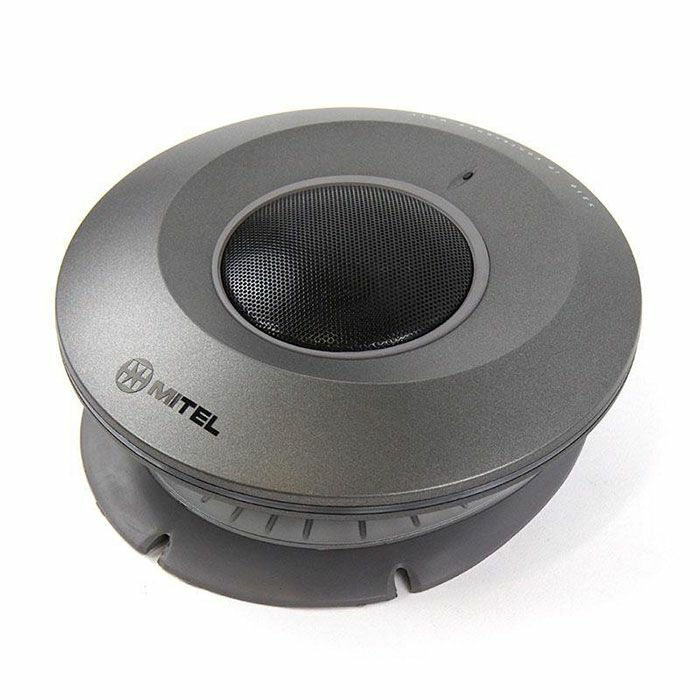 Mitel 5220, 5224 IP Phones - Connects through Side Control Unit (sold separately) which features conference unit on/off, volume controls, presentation mode and mute. Can also add the optional Mouse Controller Requires 24VDC power supply (sold separately). 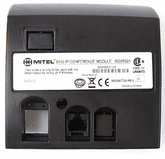 Mitel 5235, 5324, 5330, 5330e, 5340, 5340e, and 5360 IP Phones - Plugs into the Conference Module (sold separately). Built-in conference controller application on these phones features softkey functionality for on/off, volume controls, presentation mode and mute. 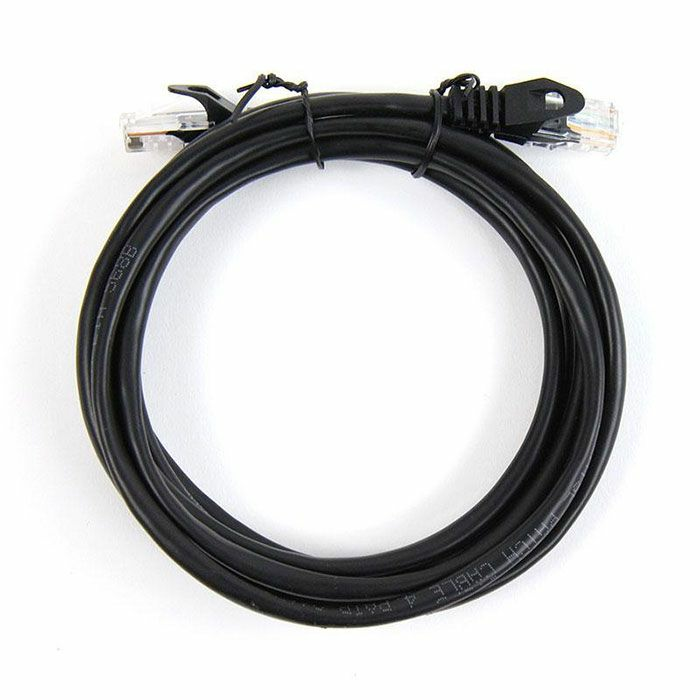 Powered via PoE (802.3af) or 48 VDC adapter (sold separately).